As we approach the brand new year 2015 at dawn on 4th February (Hsia Calendar on solar year 2015) to welcome Yin Wood Sheep (Goat) Feng Shui 2015. Though the Lunar Chinese New Year falls on 19th February 2015 as we reference to Hsia Calendar of the solar new year of Li Chun (Spring - 立春) for Flying Stars 2015 Feng Shui. Same as every year that we need to be prepared for all necessary preventive measures and cures against all the bad stars i.e. illness Star 2, quarrelsome Star 3, 5 Yellow, Violent Star 7, Tai Sui and Sui Po. You have to renew your commitment of placing the cures in sectors that will be affecting your health, wealth, career, etc while activating the right sectors to gain good fortune in 2015. 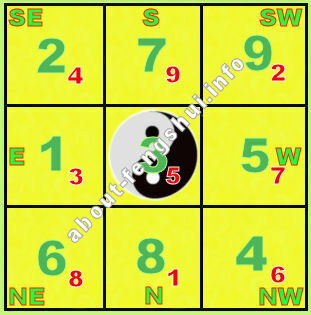 Time to set your eyes on the 9 Lo Shu Square Trigram Grid and do what are necessary to avert future disaster in 2015. You will see the 9 Lo Shu Square for 2015 Flying Stars for Wood Sheep (Goat) in each month where you will notice the stars movement individually. Star #1 (Water Element) - From South-West Sector to East corner (Wood location) for 2015. Based on the productive cycle, Water element will enhance this Wood Sector in the East which can result as a good influences to your busines startup, career advancement, investment financial gains, study succes and other positive results. For those who are still under the roof of education, it will be like to place abacus, calculator, calligraphy set, canvas, brushes will be an enhancer to boost the effect. For career wise, a money pot where you can fill it with as many different countries coins to enhance better advancement, promotion and good fortune. A metal victory horse will further activate this area for prosperity. Remember to activate in this corner that will result in enhancement of promotion, career, academic achievement, romance and financial wealth. Avoid anything relating to fire like the color of red to be in this sector instead using blue or green colours will have a good effect. Star #2 (Earth Element) - Relocate to South-East from the East Sector in 2015. As you maybe aware that this is a bad illness Star #2 and no matter what you do, please do not activate this sector. The ill effect of Star 2 can cause problems like illnesses or sickness and sometimes even death if you are not careful when handling this area. If it is unfortunate that your bedroom is here then you will be affected with health like disease, illness, sickness or family disharmony. The most appropriate cures will be placing salt water cure, Brass Wu Lou, 6 rod metal windchime and 6-chinese coins tied with red ribbon to suppress any effect from Star 2. Using 6 chinese coins in this sector will help to harmonize Star #2 thus reducing the effect. Since South-East sector has the element of earth, having metallic cures in this area will be the most appropriate solution like Brass Wulou or 6 rods wind chimes. If this is bedroom then it is better to relocate your sleeping in another room to avoid complication. Unless this is not possible then in place of those cures are vital to avoid being a victim of sickness or illness. Also it is best not to disturb this sector like renovations, digging or noisy work as it requires to be as quiet as possible. As Star 2 is earth element, you will be advice to avoid using colors or items red, candle burning or red triangles should be avoided as a prevention of activating the ill effect. Ideally, colors like silver, gold, white or copper to items of table cloth, cushions, floor mat, carpets, etc will help to reduce the effect of negative energy from the illness Star. It is better if you can avoid this area for 2015 in order not to be the victim of sickness star. For health, a brass Wu Lou will dissipate the negative effect of Star 2. Using round metal bowls or singing bowl will largely reduce the bad energy and keeping it at bay. Star #3 (Wood Element) - From South-East Sector and locate at Center of your house. Known as the Quarrelsome Star 3 and it is definitely not a Star that you will be do anything with it. Any activation of this Star 3 will definitely result in quarrels, fights, thefts, legal issues, financial losses, assaults and even law suits among friends, relatives and family members. Messing with this Star 3 will create enormous stress and agitation among friends, relatives, colleagues, partners and children. If you do not desire to have arguments or quarrels then please take heed and place the necessary cures and preventive measures as advice. As always a good advice, please try to leave this area without creating any activities of renovations or digging. Doing so will already help you through 2015 a great way without involving yourself with this Star 3. Noting that this Star 3 is an element of wood, therefore solutions to reduce such effect created by it will be using colors of red for table cloth, floor mat, cushion covers, etc. Creating fire element like burning candles, bright red lightings or objects that come in red. This will help to control the influence of Star 3. Avoid noise, renovation, digging, loud music during the period of 2015. An added inclusion to avoid gossip, loss of wealth or legal matters, you can put the Fu Lou Shou at this area. Star #4 (Wood Element) - From center to locate at North-West Sector. When it comes to knowing about Star #4, you can classified it as Relationhip / Romancing / Education Star as it moves to the North-West palace in 2015. To activate this Star 4 will be using water element since Star 4 is an element of Wood. Based on the productive cycle, water enhances wood element. Being wood element, it will be best to avoid fire element such as fire, burning candles and red colors instead introducing water element like colors of blue or black on items like tablecloth, floor mats, pillow covers, cushion covers, etc. Also avoid metal element as metal destroys wood in the destructive cycle. For romance, using Mandarin ducks or Double Happiness proves to be effective. To conclude, Star 4 in North-West is definitely good for studies, business achievement for office while lots of travelling experiences if main door is located here. You can use water element to activate and enhance the Star #4 for academic stuies, romance, intellectual wisdom, self development, inventive thinking or business success. Star #5 (Earth Element) - From North-West location to West palace. 5 Yellow is classified as one of th worst Star that you never want to get involve with. Best to avoid in order to avert total disaster. This means that you have to take extreme care as NEVER to activate or disturb the ground in this area at all if you treasure your life of happiness. 5 Yellow is defined as Sickness / Misfortune Star and fear by everyone as its purpose is to bring disasters of bad luck and ill fortune. Any sort of activation will eventually bring poverty, accidents, financial losses, mishaps, illness and loss in wealth. Plus the 3 Killings is located here in the West (232.5 to 307.5 degrees). This makes it totally bad year in the West palace with both combination. A word of advice - leave it alone from 4th Feb 2015 till 3 Feb 2016 if you want a peaceful year. You definitely want to place metal cure where it helps to keep the bad influence in control. Other than that, you can place salt water cure together with 6-metal rod windchime, Brass Wu Lou and 6-chinese coins tied in red string. Please bear in mind that you should always keep this palace in silent and avoid at all cost to create noise, renovate or digging as it will aggravate this malicious star together with 3 Killing effect that brings bad luck and misfortune. The best cure to control both the 5 Yellow & 3 Killings will be applying Salt Water incoporate with 6-chinese coins tied in red ribbon. Also it will be great to add additional cures like brass Wu Lou (helps with health problems), 6-rod Metal Windchime and round metal bowl to dissipate the negative energy effect that is caused by both 5 Yellow & 3 Killings. Best advice again is AVOID any renovation or digging in this area until the next year as to prevent aggravating this palace. Fire element should be avoided since the productive cycle is Fire produces Earth and 5 Yellow is earth element. Word Of Advice again: NEVER disturb this corner if you do not want to have financial losses, robbery, arguments, heated disputes, family discord, misfortune, lawsuits, illnesses, fatal accidents, disharmony and legal problems issues. Remember DO NOT take this lightly as it definitely can have the amplification of misfortune and disaster for your whole family with Star #5 and 3 Killings effect. Star #6 (Metal Element) - Moved from West to North-East palace in Lo Shu Square. Star #6 Chien White is known as the Benevolent / Recognition Star that is postively a good star to aid you with recognition of higher achievement in life. If you happen to spend lots of time in this sector, it has the impact of lots of good luck and fortune as it helps you to accomplish in wealth, financial opportunities, career promotion, excel in business, good leadership and academic achievement. Unfortunately, Sui Po is resided here in 2015 and will be a problem if you do not have your cures in place. Avoid metal objects as this will activate the Sui Po which will definitely ends bad. As usual, if it is possible, try to avoid using this palace to avoid the ill effect of Sui Po. Star #7 (Metal Element) - From North-East to South palace. Star 7 is known as the Violent Star where it creates negative effect for deceit, robbery, injuries, family disharmony, turbulence, burglary, fraud, gossip, violence, disputes, theft and assault. If this location is in your office, you will expect to deal with bad luck, backstabbing, arguments and loss of wealth including troublemakers of deceit. Remember to take note that you should never place any metallic objects in the South palace as it will activate Star 7 and further enhance its ill effect of negative energy. For office, you must take additional steps to clearly check and read any fine print before signing orders, receipts or contracts otherwise you may ended up loss of wealth. If your main door located here then you take special precaution to have security system installed to avoid theft or burglary. Always check and confirm that all doors and windows are closed and locked before leaving your house and during your nap as well. Star #8 (Earth Element) - From South to North palace in 2015. Star #8 signifies Wealth Star which have the power of bringing prosperity into your house. Activate this palace will help you create wealth luck and abundance of good luck in career or business. Should your door location is here then you will bring in lots of business opportunities and wealth, fame, pretige, etc. Having this Star 8 in the North palace will bring in all positive energy that will attributes fortune and wealth for career or business. If you are in for romance or relationship then using the Double Happiness or Mandarin Ducks will activate it. With all the concentration of earning money, you may forget to take care of your health. 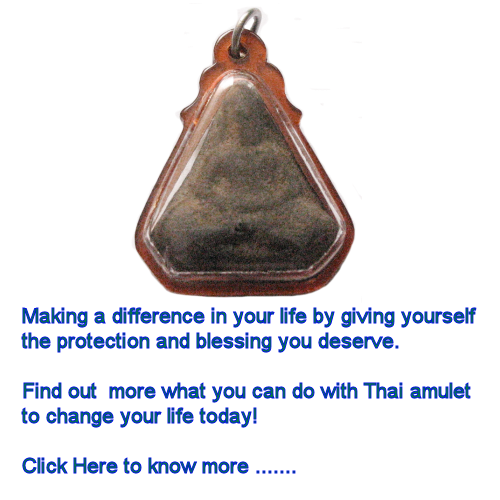 Therefore you need to tackle any health related issues by placing a brass Wulou since you might be overwhelmed with work in business or career. You need to know that you should not be having metal element in this area as it will deplete the earth element for Star #8. If you are studying then you can place the victory horse made of earth element to activate. A 3 legged frog can bring in wealth and fortune in this sector. Star #9 (Fire Element) - From North to South-West palace in 2015. Star #9 is represented as the future wealth star where you will gain good fortune through investment of stocks and real estate. Or having advancement in your career with promotion and pay raise. Star 9 helps with fame and recognition in terms of reward for achievement in hard work that you had built in your past. As Star #9 is fire element therefore activation can be using the fire element like color of red or red items. Should your office or main door in this area, then there is a likely possibility of career advancement and promotions are within grabs. Other than that, you can also have achievement in academic or relationship. It will be a good place to study if you are pursuing your education. Wood element helps to activate and enhance the Fire element, therefore placing healthy fresh plants and flowers will energize the Star #9 to bring in positive Chi. As we know that Star #9 is the fire element annual star, therefore it is advisable not to have any water element like the color/objects of black, blue, water features. For relationship in family, having a happy family pictures or fresh flowers will help to create good vibe while increasing the benefits of Star #9. With all the good luck and fortune of Star #9 in the South-West, it is unfortunate that Tai Sui (Grand Duke (Tai Sui)) happens to reside between 202.5 - 217.5 degrees in 2015. This means you need to use a 6-rod metal windchime to suppress this effect. As usual, you are NOT to face within this 15 degrees otherwise you will definitely encounter obstacles, financial losses, demotion in career and business failure. It is ALWAYS recommended that you have your back facing Tai Sui (Grand Duke) as you will gain the support instead.